I highly recommend Dr. Gregerson. We had such a special experience with him delivering our second child, our only son :) I recommend him and his staff to the fullest! They are all so warm and welcoming! I'm not sure yet if we are going to have another but if we do, we will be going back to dr. Gregerson and Advanced Specialty Care for Women, even though we moved and it will be quiet the drive, I wouldn't choose anyone else!!! Love you and appreciate you so much Dr, see you in 6 months. Katie the midwife is amazing!!! She truly listened to me and figured out why I was so tired all the time! Now it's being managed and I feel ten times better and more energetic than ever!!! I love when providers actually sit and listen to you! Definitely, recommend this place and seeing Katie! Great people. Fantastic care and compassion. They offered a clinical study that I was able to take part in. Would HIGHLY RECOMMEND. Dr. Gregerson is professional as well as personable. He has taken time with me each appointment to brainstorm my concerns as well as ease of setting appointments and availability. I had a full hysterectomy last week and things went smoother than I could have ever imagined. In addition to the doctor finding some other issues that were unknown. I am healing very well due to his precise care and I'm happily recovering. Doctor Gregerson is the best Doctor period. Listed below are some important competencies I've observed: 1. Professional, 2. Kind 3. Does what best for the patient within his guidelines. 4. Extremely knowledgeable physician and teacher of his medical field., 5. Honest, 6. Truly cares about his patients and the family being created. I've never had 1 thought of complaint with this doctor. He does the small things most doctors forget when interacting with his patients and families. I see some low ranking stars. I am really in shock. I have never seen the doctor or his staff be unprofessional. 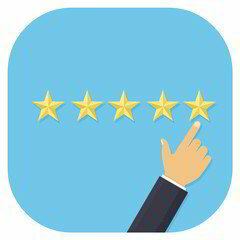 Feel free to post your own reviews of our services. We appreciate you and your opinions, and want to find out how to better serve you or make it right if you feel you have received less than the best from us! If you have specific comments on our services you would like us to be informed about, please let us know!